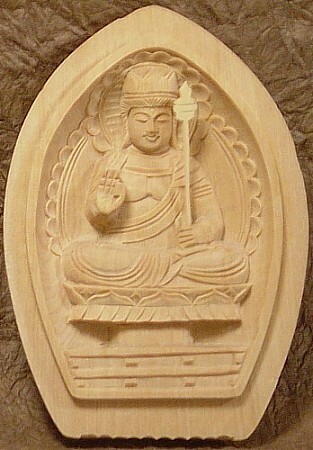 Kokuzo represents wisdom, memory, and the granting of wishes; also known as the patron of craftspeople and artisans; left hand holds lotus spear surmounted by the sacred wish-granting jewel; right hand in "Fear Not" Mudra, a gesture symbolizing the bestowal of protection to Buddhist followers. 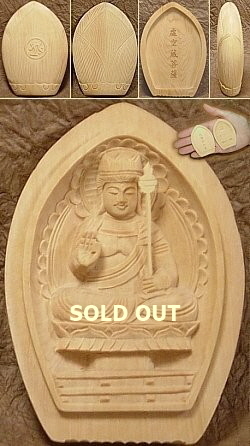 See Kokuzo Top Page for more details. 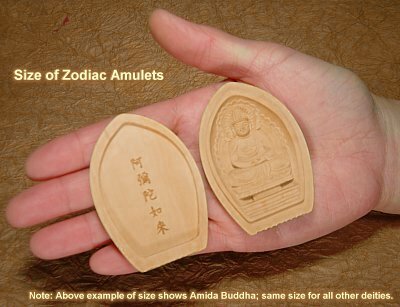 See Zodiac Amulet Page for more details on Zodiac calendar. 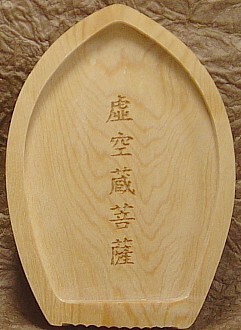 Japanese name on inside cover & circular Sanskrit seed syllable on outer. 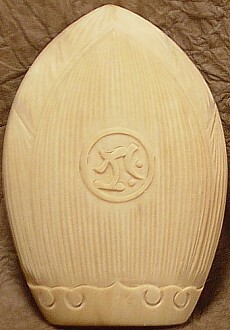 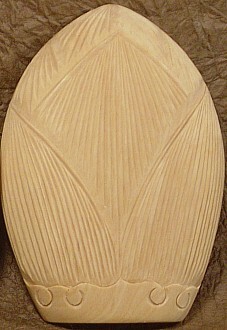 Both outer caps are etched with a Lotus Design.